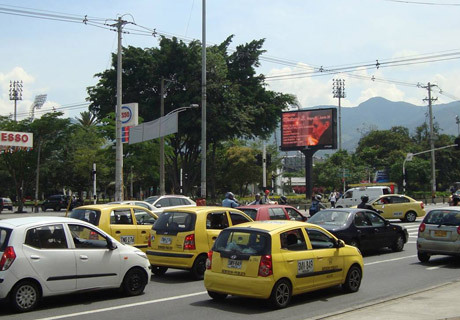 Today, on May 22, the exhibition Madame B: Exploraciones en el capitalismo emocional opens in Medellín, in two university galleries. The one is an art gallery of the Universidad Nacional de Colombia sede Medellín, the other, the art gallery of the private university EAFIT. 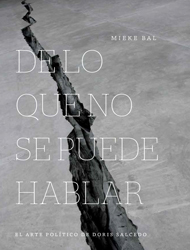 During this same trip, the Spanish translation of my book on the work of Doris Salcedo and the question of political art is being launched, on May 19 in Bogotá in the presence of the artist, and today in Medellín. This is, for me, a marvelous opportunity to make good on the premise I try to spread wherever I can, that art making and studying are not distinct activities. Something unheard of in Europe: this event, too, was advertised on street screens. 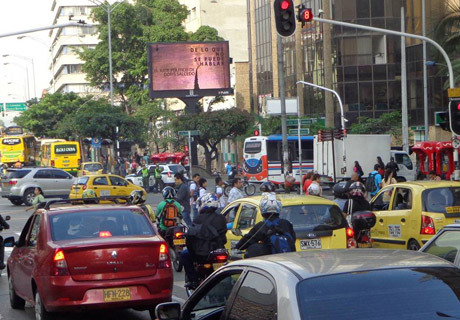 This, and the media interest in general, are for me a demonstration of the strong presence of culture and thought in Latin-American public life. True, one television interview was cancelled in favor of a football match, but still… This screen advertises my book! The initiator of the translation, Lucrecia Piedrahita Orrego, also curated what she called an “expografía” which was in fact an exhibition of quotes, images, and videos of the book. 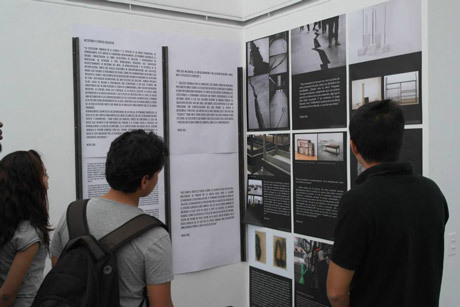 This took place at the Universidad Pontificia Bolivariana, in the galería de Arte de la Facultad de Arquitectura, April 1-16. After the exhibitions in Lodz, Tallinn and Zürich, the full Madame B exhibition is now in the Post och Tullhus in Eckerö, on the Swedish-speaking island of Åland. Curator Mervi Appel did a brilliant job acquiring and designing the exhibition, and Göran Stenius - also a participant who plays the bailiff - installed it expertly. Here you see Mervi speaking at the opening. Many participants came from mainland Finland, including cinematographer Christopher Wessels, and the singing beggar Lila Köngäs-Saarikko. And of course, our star actress Marja Skaffari, who plays an Emma unique in the history of Flaubert-based films. Imagine the joy for Mervi and Marja’s mother Raili Skaffari, who came and spent hours in the exhibition.